While hilly and winding lawns are a sight to behold, maintaining them comes at a cost. This is because most of the ordinary lawn mowers are poor climbers and unsafe to use especially in extremely hilly landscapes (they commonly roll over) …. at least that’s how it has been until the best lawn mowers for hills came around. Sure. Lawn mowers have been around since 1830 when Edwin Budding gave us his famous grass cutter. By design, mowing equipment tends to want to roll downhill meaning the operator has to manage its force or be overpowered and wait for the worst. Honda 187cc Gas 21 in. What are lawn mowers for steep hills? Unlike all other grass trimmers, lawn mowers for steep hills are purposely-built to tackle hilly and uneven train with safely and efficiently. Better traction- hence their exemplary climbing skills. Reinforced downhill braking -operators can slow, stop, and even reverse on hills. So, how does a good mower for steep hills help your ​lawn's terrain? ​Most commercial mowers for hills have a low center of gravity. This significantly reduces their risk of tipping. Many also have a 4-wheel-drive and wider tires for traction on all types of lawns. Since their rear deck follows the front axle, they turn quickly and more sharply. With some of the ​lawn mowers for hills being battery driven, gas fumes don’t waft towards you so you'll enjoy clean, healthy air. Most offer attachments including baggers, mulchers, and adjustable-height blades. 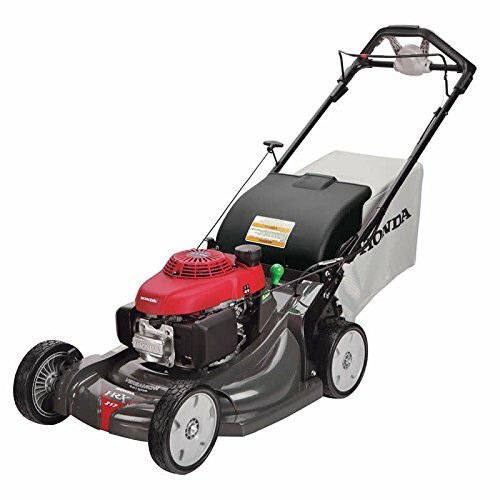 In addition, some have up to 9 blade height settings so they can cut any lawn vegetation. With the fast accelerating smart drive,micro cutting twin blades, easy starting GCV160 engine, auto choke, 2-position handle, and the 6-position cutting height adjustments, this comes equipped to conquer even the indomitable terrains. It uses less gas compared to competing lawn mowers for hills and slopes. And the variable speed can really speed up your cutting…at full speed, this beast dashes across yards. It starts with just one pull and the deck does an amazing job mowing across winding terrain. And your comfort and safety matters to it- you can tell this from the foam grip handles, and the Zone Start Safety System which automatically shuts the engine if you lose control of your mower. More to this, its EPA and CARB Compliant, meaning it has been approved by authorities as being Eco-friendly. Finally, you will enjoy exercising as you walk behind it, and is very easy to control. It does the job while helping you better your health. What a bonus! It packs plenty of horsepower and does well in climbing. The reduced gas usage, this is an economical option. It is an environmentally friendly lawn mower. For more on this machine watch the below video. It has the oomph to maneuver the toughest hills- thanks to the powerful 163cc Briggs & Stratton engine. And it is really up there when we come to performance, thanks to its outstanding TriAction cutting system which consistently delivers a clean job. Speed-wise, you have the 4 flexible top speed settings to help you personalize it for your comfort and ease of control. It’s a 3-in-1 meaning you can mulch, bag, or use the side discharge to get the results you crave for in uneven grounds. Switching to desired cutting height is very easy. Its light weight hence it maneuvers easily uphill. Cordless mowers have some unique advantages- zero emissions, zero noise, and zero expenses on gasoline. If you’re a fan of cordless tools, then it’s hard not to notice this..
Powered by 2 long-lasting batteries (brush-less motor technology) , the snapper XD cordless 21-inch self-propelling walk mower will mow with power and reliability for many years and since it uses brush-less motors, it will need very little maintenance. Impressively, it will cut for up to 45-minutes without requiring a recharge… meaning it mows up to a ½ acre on one charge! ​Its innovative Versamow System allows it to mulch, discharge, bag, and shred leaves (it’s a 4-in-1) so you will not have to spend on additional tools or expensive attachments. The convenient Clip control knob allows you to easily set it to your preferred function. With 2 fine blades,this self-propelled mower cuts through thick grass like a hot knife through butter saving your time and energy. The 187cc engine and its rear-wheel drive make this mower an extremely good climber. And the craziest bit: this mower uses very little fuel!! The bag is so huge so will cut a large swathe without needing to empty the clippings.. Considering all these, you can understand why it has always been nominated as among the top rated self propelled mower for steep hills. They are also more balanced now that power is evenly distributed across all the 4 wheels. No wonder it has been drawing raving reviews for its ability to expertly handle steep hills, tough grass, and rough terrain. In addition to its robust all-wheel drive system, it has an enhanced steel deck and a powerful Kohler 675 Series149cc engine. Finally, its bag has a natural grip handle and is easy to remove. Its all-wheel-drive enables it to maneuver well in slopes and hilly terrain. ​Highly rated by bagging fans, this self-propelled lawn mower relies on a vacuum like suction to efficiently cut and bag your grass. Thus, in addition to efficient bagging, your grass ends up with an ultra-clean finish. It also features a well-constructed rear wheel drive and the user enjoys superior traction on thick grass and hills. It’s powered by the 190cc Briggs & Stratton OHV engine – popular for its reliability and stability. The other notable features include the ready start technology which guarantees easy starts and quiet runs. You also have up to 7 height-of-cut adjustments for a comfortable operation. When storage space is at a premium, you’ll need a lawn mower which is designed with space economy in mind. Then, you will easily adjust this mower's speed (from 0 to 4 miles per hour) to match your stride by simply rotating the controls. Finally, the mulch and side discharge work as expected. This cordless lawn mower comes with an improved rear wheel drive system and provides great traction especially when powering uphill. It also mows in straight lines so you end up with pristine grass ..
Again, when on a full charge, its 5.0Ah 40-Volt Lithium battery will allow you to mow for longer without the inconveniences of having to recharge. Can you imagine a cordless lawn mower packing the same power as a 160cc. gas engine? So, with these 2 top qualities, this muscular self-propelled lawn mower is able to cut majestically through heavy weeds and thick grass. Most importantly, it cuts neatly over around tree stumps…. We were also excited by its charging system- it charges super-fast and is ready to deploy within 30minutes. It cuts as much as a 1/3 of a lawn acre with a single charge. Some of the mowers – especially those with poor quality carburetors- are difficult to start. Luckily, most of the outstanding mowers have power easy-start engines. Some of these mowers are multi-purpose. Once you add the needed attachment, you can use it to also bag and mulch. Rear wheel drive delivers much better traction on hilly grounds compared to the rest. Traction is further boosted by trodden tires. All these help your safety. So, what size should you pick for your mowers deck? There are many factors that you need to check out chief among them the size of your yard. Nevertheless, you need to know that narrower decks maneuver expertly around obstacles and are the most recommended when we come to slopes/uneven terrain. Ride-on mowers have a higher risk of injury and are recommended for only extreme situations. Self-propelled mowers make exceptional mowers for any lawn and majestically conquer hills. They are indeed the top-dogs for hills. Talking about dogs, is your yard infested with fleas? we have a detailed article on ​ yard treatment for fleas. But on the other hand, they need more maintenance, for example oil change. Those fronting battery mowers as the better push lawn mowers for hills say they are Eco-friendly (fumes free) and are economical to run since you don’t have to buy gas. The problem is that you’ve to keep recharging them. So, as you can see, each of these top rated push lawn mowers for hills has genuine pros and cons..
Where to buy ​hillside mowers. Our search for the ​right walk behind mower for hills took us to amazon and we have simply refused to leave. They remain our favorite vendors because of a fair pricing. But you can also buy ​from from EBay and online from the Individual manufacturer’s websites. And these were our biggest influences..
We were looking for the type of mower for steep hills- that which goes up and down the terrain in a ‘free’ mode..you know, without being pressed or forced. It doesn’t matter whether it’s the top rated lightweight push lawn mowers for hills or not…the bottom line is that it must be able to cut and impress. Now, with its freewheeling smart drive technology and the razor sharp twin cutting blades (Micro cut), the Honda 3-in-1 Variable Speed Self-Propelled Gas mower, saves your time by driving quickly and cutting up rough grass with admirable efficiency and speed . And even though it sometimes vibrates randomly, it’s the closest any of these safest​ mowers for steep hills have come to perfection. The best mower for steep hill is ​what you need if you are to maintain your hilly lawns in a well-groomed and immaculate condition. ​In conclusion, we have also seen that in most cases, the self-propelled mowers trumps over the ride on because of their added stability.